FBN’s Charles Payne on success and growth of ROAR Beverages under CEO Roly Nesi. In this Salute to American Success, we’re taking a look at ROAR Beverages and Brand Architect and CEO Roly Nesi. The company combines coconut water with B-vitamins and natural flavors to create its product line of “peak-performance” sports drinks. According to Nesi, the company focuses on making ROAR a true all-American company by keeping everything, including production and packing, in the U.S.
Roly Nesi grew up in the hamlet of Cold Spring Harbor on Long Island, New York. After earning a degree in international relations and affairs in 2007 from Boston University, he went to work at his father’s apparel business. A few years later, Nesi created his own company called Goldrock Beverages. 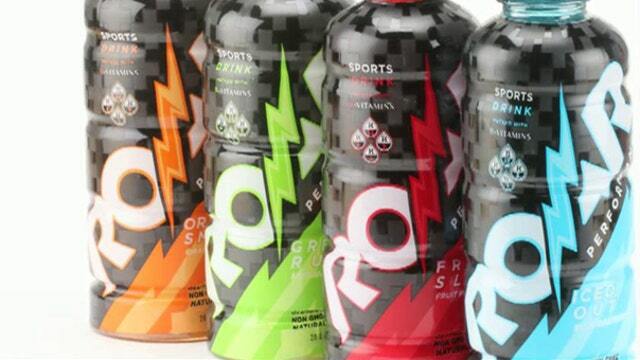 Then, in 2012, Nesi created ROAR Beverages and joined the sports drink industry. In trying to differentiate the product from what was on the market, Nesi decided to use coconut water as a base. B-vitamins were added to the mix to create the beverage’s signature formula. But ROAR’s launch wasn’t roaring. Today, Nesi said ROAR has grown out of its early struggles. The company has gone from selling just a few cases of the product to about “350-400 cases” a day, on Long Island alone. By the end of the summer, Nesi said the product will be available in more than 3,500 retail locations across the United States. The company’s focus is in the Northeast, mainly in New York, New Jersey, Connecticut and Vermont. ROAR has created its own distribution network for Long Island, and works with Anheuser Busch as well. ROAR has also partnered with more than 500 schools in the U.S., including in New York, New Jersey and Maryland. Overall, the 31-year-old Nesi still prides himself and the company on staying all-American, even if it means paying more to produce the beverage.